While Japan was experiencing rapid post-war economic growth, many Japanese women were confined to housework, an anomaly among other advanced countries. The numbers tell the whole story: despite its high proportion of female population entering university, Japan is ranked 82nd in the ratio of working women and 116th in the percentage of women occupying managerial positions according to a World Economic Forum report. And it is placed at the very bottom in the proportion of female directors among 20 advanced countries according to a survey by NPO Catalyst. In 1974, about 30 years after the war, I was born into a typical Japanese family where my father was a hard-working office employee, and my mother was a devoted housewife. I have a younger sister. What was not typical about my family was that my mother kept telling me, even when I was a 3-year-old child, "I don't expect you to be an outstanding worker, but I do expect you to continue working all your life." Why did she--the epitome of a good mother who lovingly looked after the family in everything from planning the daily menu to her children's education--drive home such a message to me? I believe it was because she had been born into a family of four daughters, which must have made her think hard about how a woman should live in the future. Greatly influenced by my mother, I became more interested in finding a job that would enable me to grow professionally and to which I could passionately devote myself. When I became pregnant in the second year of working, however, I suddenly felt anxious. 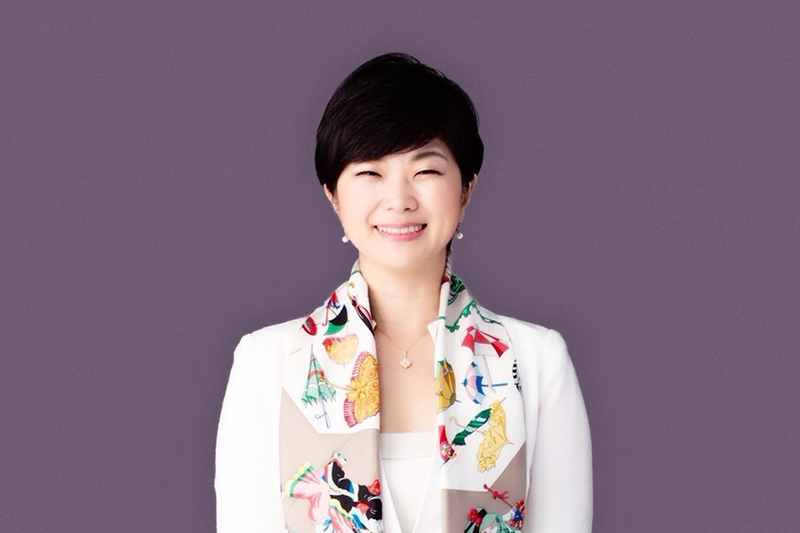 Although Accenture in Japan, as with other global companies, had in place a system to support working mothers, I couldn't find any female employees within the company who were juggling work and childcare. I was at a loss, asking myself whether it was possible for me to continue working after having a child and whether my supervisors and colleagues would accept me as a working mother.